Buy a signed copy of the best selling concert photography how-to book. Concert photography poses a unique set of challenges to photographers, including night or low-light, inconsistent stage lighting, a moving subject matter, limitations on vantage point, complex exposure situations, and no chance for re-takes. Compounded with those hurdles is a lack of resources on this subject?until now. All Access: Your Backstage Pass to Concert Photography fills this gap and provides you with all the information you need to know, from choosing the right gear and camera settings to negotiating rights to publish or share photos as well as how to best edit your photos in post-production. 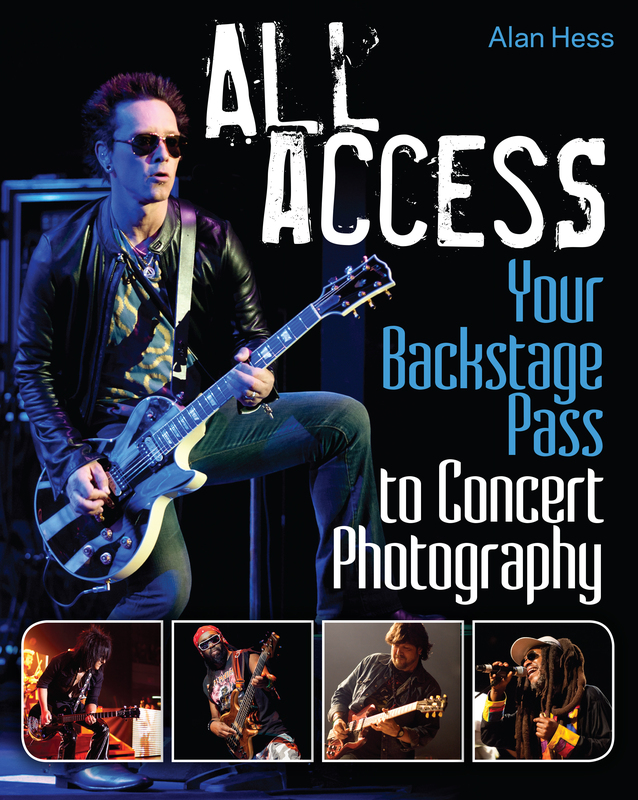 All Access: Your Backstage Pass to Concert Photography is an ideal resource if you are determined to learn the skills necessary to capture clear, well-composed, and professional-level concert photos.